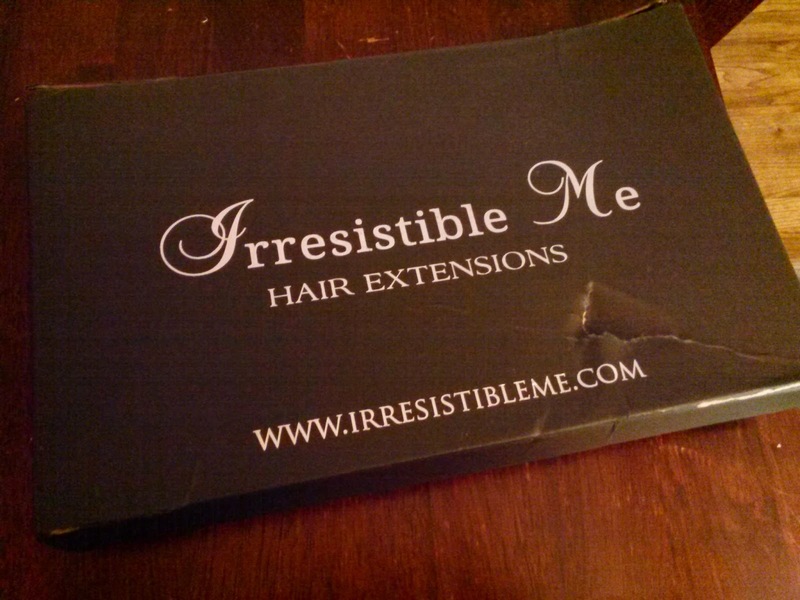 Recently, I had the privilege of trying out the luxurious royal remy hair extensions made by the company Irresistible Me. The box got a bit mushed in shipping, but the contents were safe! 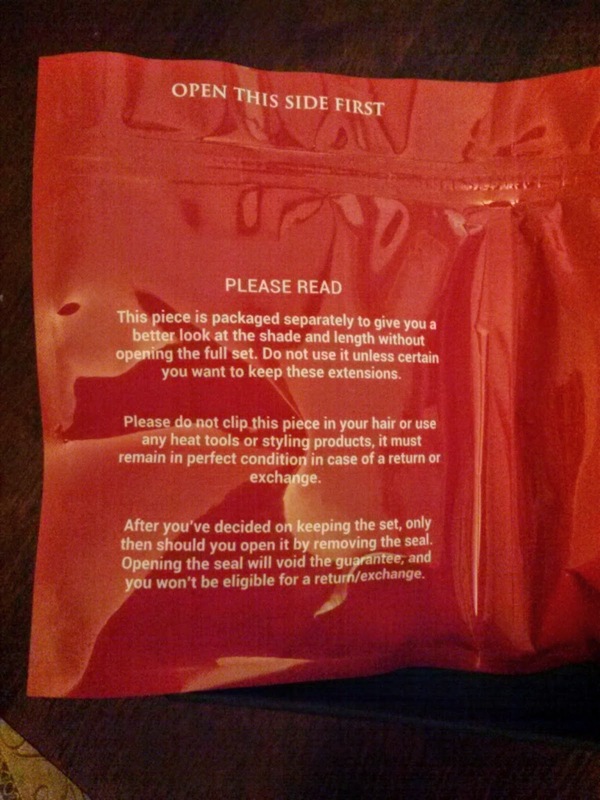 The extensions come in a two-part packet; one side is sealed and contains all ten wefts, wrapped in a hair-net; the other has a little sample piece for you to test against your natural hair. DO NOT break the seal of the one side until you are sure you have the correct color and you want to keep these extensions. 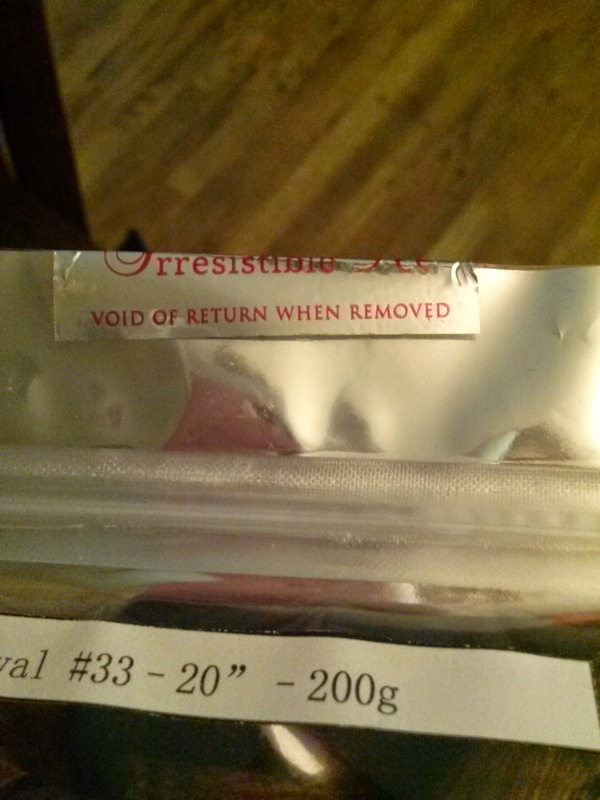 Once you open that sealed side of the packet, you void your chance of return--the extensions are yours! 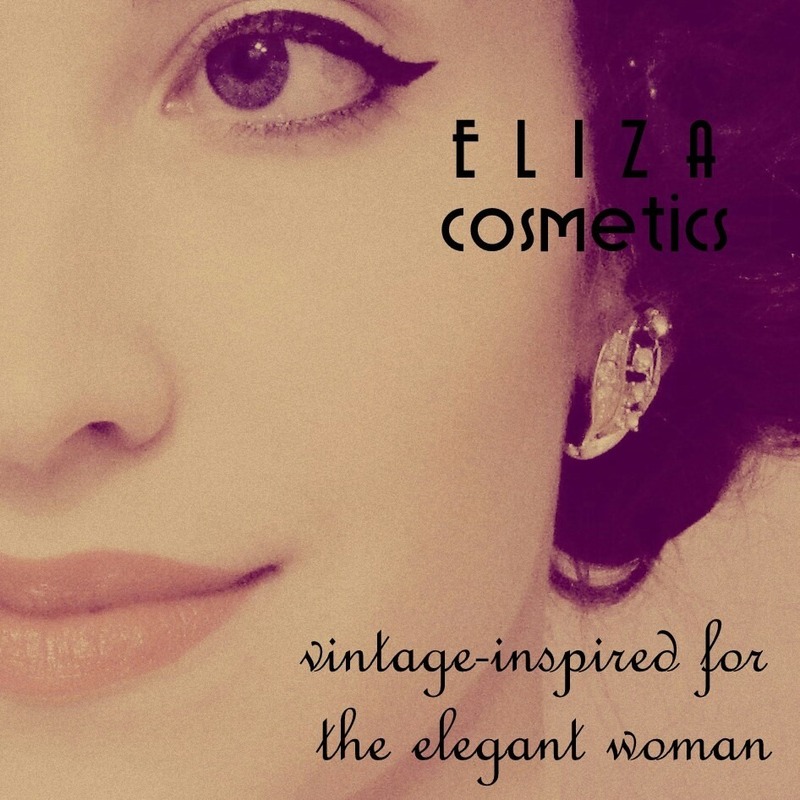 I watched the video sent to me (via Glamour Daze) from Maddy at Irresistible Me. This informative short educates the viewer on the lengths, weights, and shades available in the royal remy clip-in extensions. 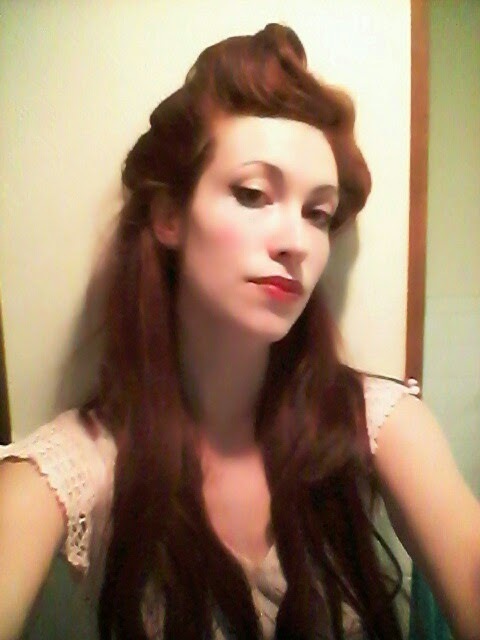 I thought #33 'Ginger' was closest to my natural color. 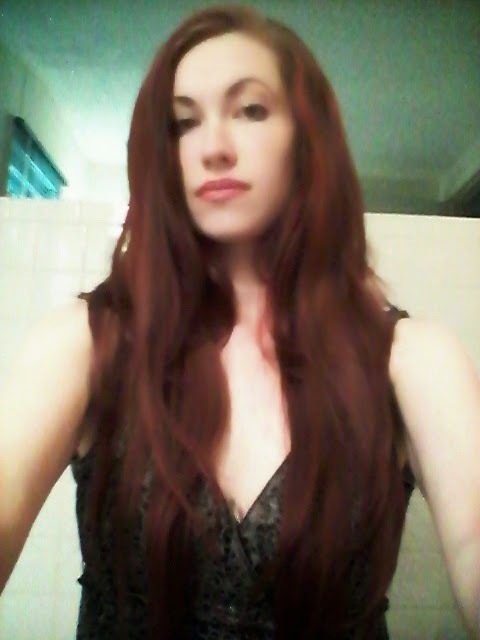 Preliminary cell phone shot with extensions in! -They are 100% royal remy, which is pure human hair, which means that they can be cut, dyed, or curled, just like your own hair. -Extensions do not receive your natural scalp oils, so some special treatment is required to keep them healthy-looking. Use a wide tooth comb on them and always start with the bottom (ends) first. -Remove the extensions before washing your own hair or showering, but do wash them on their own from time to time. 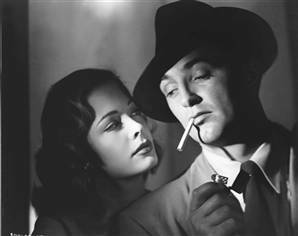 (Between 5-6 wears is recommended.) Use shampoo and conditioner for chemically treated hair, and rinse each extension separately. Avoid twisting, scrubbing, or rubbing the hair. Be sure to rinse thoroughly, as damage can be done to the hair from residue. As far as water goes, use gentle pressure and a mild temperature. Gently blot with a towel to remove excess water. -If you wish to dry your extensions with a hair dryer, use a heat-protection spray on them, first. Otherwise, let them air-dry 80% before using a hair dryer on them. 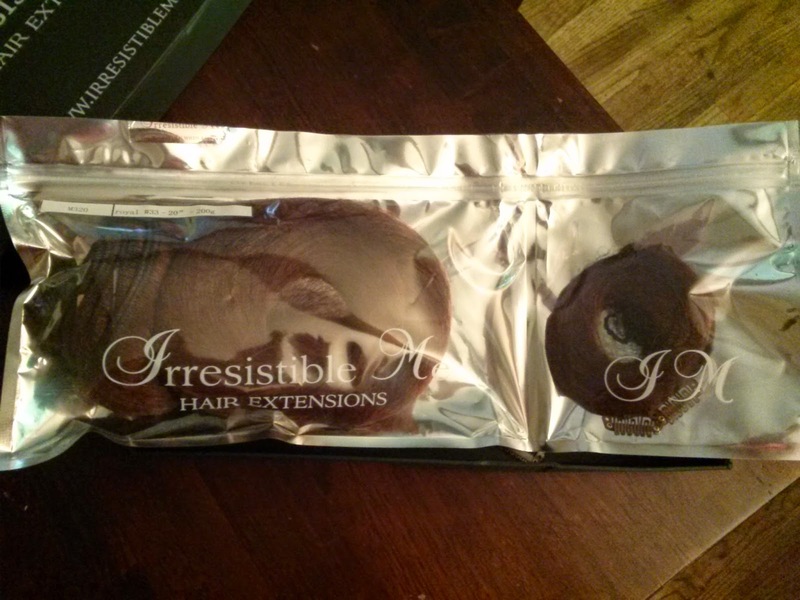 -Treat your extensions as well as you would treat your own hair--and better! Make sure to use a good moisturizer on them, and brush/comb them gently before washing. -After clipping in each weft, your extensions will have to be blended. Gently comb or brush through your hair after application, avoiding brushing too close to the clips. You can then style the extensions to match your hair. 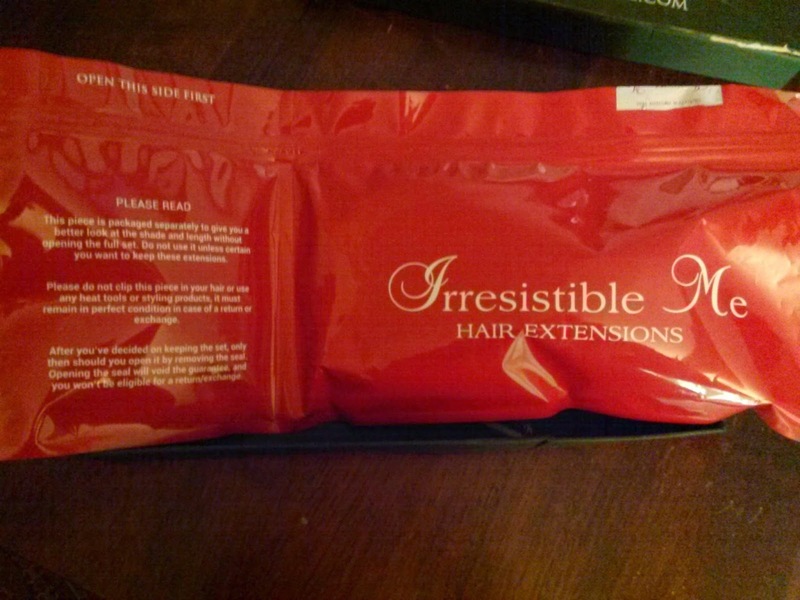 Stay tuned for future posts on my own personal experience with styling and caring for my Irresistible Me hair extensions! Wow. Please visit this link for the best hair extensions.